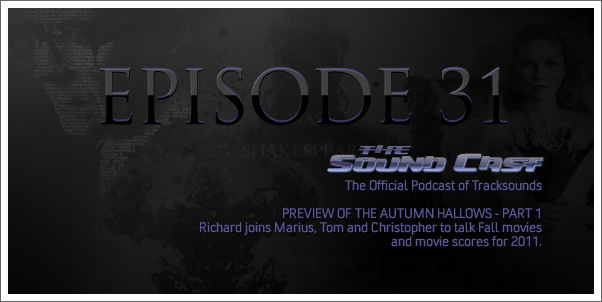 Richard joins Marius, Christopher and Tom to discuss expectations for the upcoming Fall movie and soundtrack season. In part 1, they cover movies being released between October 1 and November 15th. In addition to the "What Have You Been Listening To" segment, the Soundcast debuts a brand new segment called "Sidetracks" where each offers at least one news story related to film, television or game music. 02:45 — What have you been listening to?